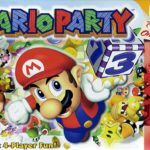 Mario Party Advance (AKA マリオパーティ アドバンス Mario Pāti Adobansu in Japan) was released back in 2005 for Game Boy Advance. It was published by Nintendo, of course, and was developed by Hudson Soft. 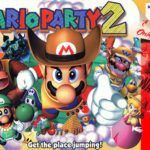 You can say that this is the ported version of the popular Mario Party series that was originally designed for the Nintendo 64 system. 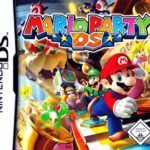 Although the original premise was to move the entire party franchise to a more handheld venue, the way they did it wasn’t really up to par with the expectations of the fans. Mario Party Advance seemed like a totally new version altogether. Before you get your hopes up, just remember that this game is different but it isn’t a dud either. The game starts when Toad introduces you to Party World. You get to go to a floating island that is loaded with a ton of mini games. And as you might expect, even before the citizens of the Mushroom Kingdom get a chance to party to their heart’s content, Bowser comes along to rain on their parade so to speak. You have four characters to choose from in Mario Party Advance. You have Mario and Luigi of course. You can’t have a Super Mario Brothers game without the brothers. Apart from those two in house favorites, you can also select either Princess Peach or the ever lovable Yoshi. The main objective in Mario Party Advance is for you to collect all Gaddgets (i.e. virtual toys created by Professor E. Gadd). The game takes place on a singular map. You’ll be navigating everywhere (yes, literally everywhere) in Shroom City. There are pipes, paths, and hidden passages that interconnect pretty much everywhere. Other than the main game, there are more than 120 mini games in the Party version. You move around the main map via dice rolls. That should be enough to keep you interested. You’ll have a go at platforming challenges, tile puzzles, volleyball games, sled racing, and a ton of other cool and fun quests and other stuff to do. The only downside here is that the mini games can sometimes be a bit maddening to manage. However, you’ll have plenty of Mushroom Challenges to choose from. Mario Party Advance game has been ported to Game Boy Advance (this version), and Nintendo Virtual Console (Wii – 2014).